Everyone knew that real firearms were made from steel and walnut. 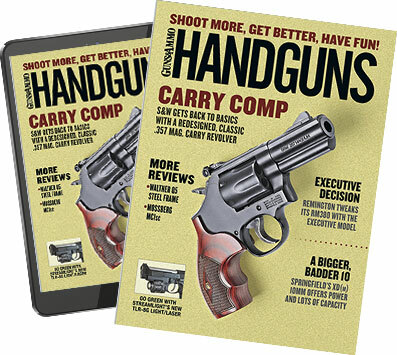 They warned us that polymer handguns ("Tupperware pistols," as some liked to call them) would quickly wear out, degrade, melt or dissolve and scoffed at the notion that plastic could be as tough as steel. 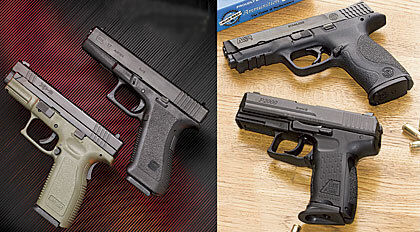 Despite these dire predictions and downright hatred directed toward them, polymer-frame pistols quickly became the hottest items on the police handgun market. Before we began, all five pistols were cleaned and oiled, and that would be it until we were done shooting. The only maintenance permitted from that point on would be wiping off visible grit or residue with a cloth. If they choked up, we would clear the malfunction and, if possible, keep on shooting. With our endeavors finally complete, I tallied up how much ammunition we had expended and discovered that in two days of shooting we ran almost 600 rounds through each pistol. Despite that, we experienced only one malfunction--a failure to feed with the Para LDA--and that was traced to a defective magazine. I found this to be a very positive statement as to the level of quality control exercised by the pistols' respective manufacturers.